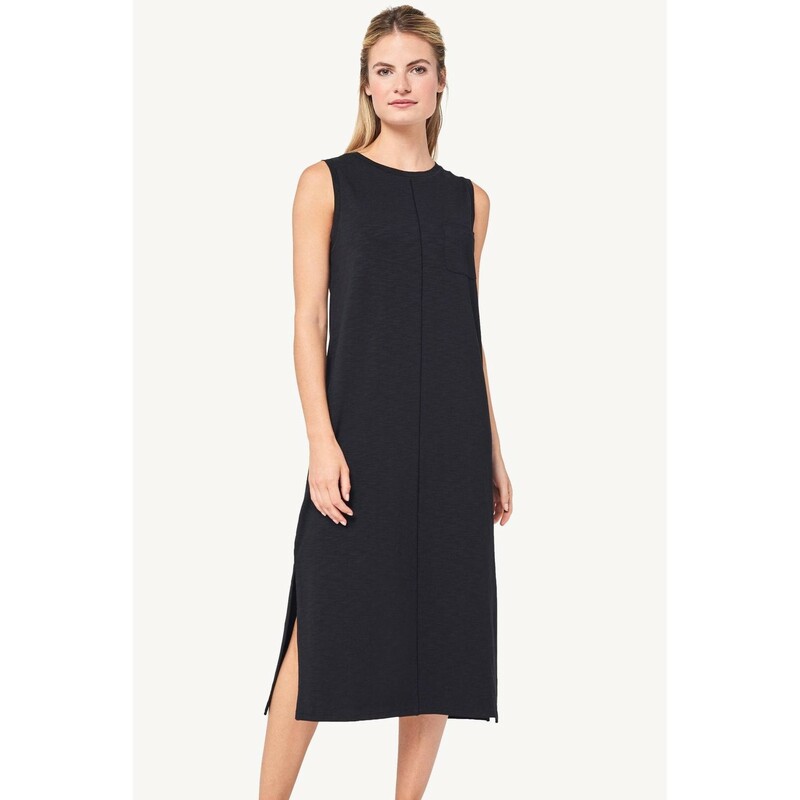 Lilla P Long Tank Dress (Black) Dresses at Blush, Ltd.
Our slub cotton and modal blend fabric has the perfect amount of stretch giving this fabric a slightly heavier weight. Our long tank dress with pocket and side slits is incredibly chic and can seamlessly take you from day to night. This dress has a straight fit and skims the body for a clean look. The length is 46" on a size medium.